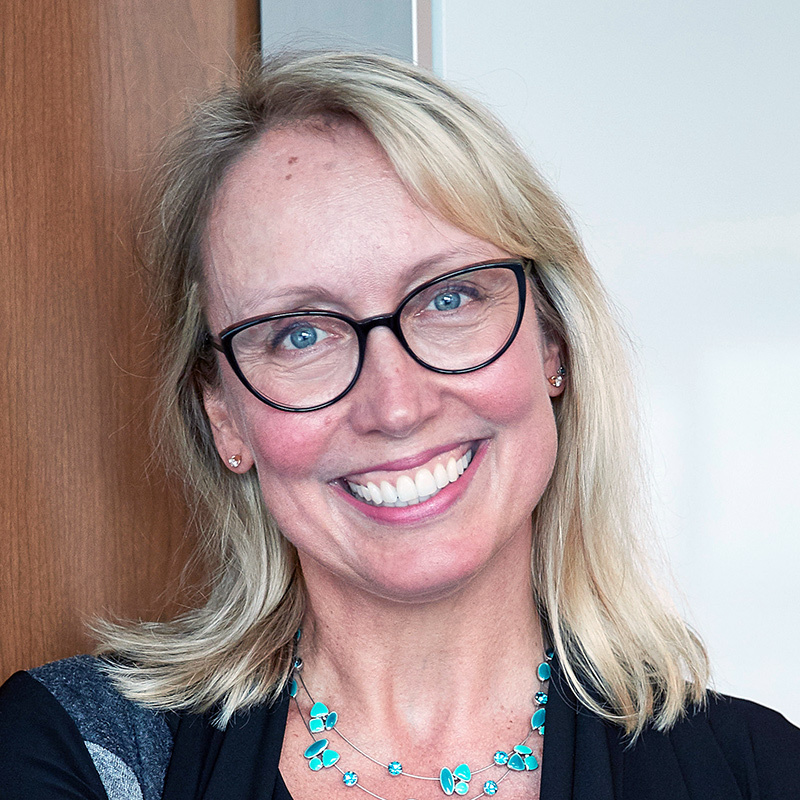 Dr. Milena Head is a Professor of Information Systems at DeGroote, the Wayne C. Fox Chair in Business Innovation and Academic Director of the EMBA program at the DeGroote School of Business. She specializes in electronic business (eBusiness) and Human Computer Interaction (HCI), having published over 100 papers in academic journals, books and conferences. Her research interests include trust, privacy and adoption of electronic commerce and new technologies; interface design; and cross-cultural, gender and age issues related to technology use. She also examines the potential negative impacts of technology, including identity theft, techno-stress and cyber-bullying. Milena has received numerous teaching and research awards and is frequently called upon by the media and by community groups to speak about her research. Beyond her academic roles, Milena has acted as a personal consultant on topics of eCommerce strategy, usability and fraud management, and has been an invited speaker at numerous corporate events and meetings. She also developed a senior MBA course at the DeGroote School of Business in partnership with AT Kearney, enabling students to work with real clients on real consulting projects. I consider teaching to be a critical component of my appointment at McMaster. While research requires time, diligence, patience and creativity, I believe that effective teaching also requires these traits, and more. I believe that successful learning is a partnership between teacher and student. It should be a cooperative process that involves open communication. I strive to create an atmosphere of exploration, inquiry and excitement in my classrooms. Dr. Head served as the Associate Dean of the DeGroote School of Business from 2004 to 2010 and is currently the Acting MBA Director. An accomplished researcher, Dr. Head has published over 90 papers in respected academic journals, books and conferences including MIS Quarterly, Information & Management, International Journal of Human–Computer Studies, Interacting with Computers, International Journal of Electronic Commerce, and Group Decision and Negotiation. She serves on the Editorial Board of several journals and has been the Conference Chair, Program Chair and Associate Editor for numerous international academic conferences. Dr. Head has been actively involved in the supervision of students at undergraduate, masters and doctoral levels. She coaches MBA students, preparing them for various national/international case competitions. She has been nominated for teaching excellence awards and was the recipient of the Basu Teaching Award, awarded to the best professor in the MBA program. Dr. Head is frequently called upon by the media and by community groups to speak about her research and, in particular, identity theft issues. Head, M., Ziolkowski, N. (2012). “Understanding Student Attitudes of Mobile Phone Features: Rethinking Adoption Through Conjoint, Cluster and SEM Analyses”, Computers in Human Behavior, 28(6), 2331-2339. Coursaris, C., Hassanein, K., Head, M., Bontis, N. (2012). “The Impact of Distractions on the Usability and Intention to use Mobile Devices for Wireless Data Services”, Computers in Human Behavior, 28(4), 1439-1449. McLaren, T., Head, M., Yuan, Y., Chan, Y. (2011). “A Multi-level Model for Measuring Fit Between a Firm’s Competitive Strategies and Information Systems Capabilities”, MIS Quarterly, December, 35(4), 909-929. Ganguly, B., Dash, S., Cyr, D., Head, M. (2010). “The Effects of Website design on Purchase Intention in Online Shopping: The Mediating role of Trust and the Moderating role of Culture”, International Journal of Electronic Business, 8(4/5), 302-330. Wagner, N., Hassanein, K., Head, M. (2010). “Computer Use by Older Adults: A Multidisciplinary Review”, Computers in Human Behavior, 26(5), 870-882. Cyr, D., Head, M., Larios, H. (2010). “Colour Appeal in Website Design within and across Cultures: A Multi-Method Evaluation”, International Journal of Human-Computer Studies (IJHCS) 68(1-2), 1-21. Cry, D., Head, M., Ivanov, A. (2009). “Perceptions of Mobile Device Website Design: Culture, Gender and Age Comparisons”, in Advances in Electronic Business: Vol. 4 – Mobile and Ubiquitous Commerce, M. Head and E. Li (Eds. ), Hershey PA: IGI Global Publishing, pp.173-200. McLaren, T., Head, M., Yuan, Y. (2004). “Costs and Benefits in Supply Chain Collaboration”, in Advances in Electronic Business: Vol. 1 – Collaborative Commerce, T. C. Du and E. Li (Eds. ), Hershey PA: Idea Group Publishing, pp. 258-284. Coursaris, C., Hassanein, K., Head, M. (2004). “Understanding the Mobile Consumer”, in Wireless Communications and Mobile Commerce, S. Nansi (Ed. ), Singapore & Hershey PA: Idea Group Publishing, pp. 132-165. Head, M. (2012). “To Collaborate or Not to Collaborate”, DeGroote Doctoral Students Association Brown Bag Lunch Speaker, Hamilton, March. Hassanein, K. & Head, M. (2011). “The Role of Social Presence in Enhancing Consumers’ Attitudes towards Online Shopping”, Zhejiang Gongshang University, Hangzhou, China, December. Head, M. (2011). “Identity Theft: Understanding and Fighting the Crime of the Century”, Keynote Presentation, McMaster Humanities Faculty Staff Meeting, Hamilton, November. Head, M. (2010). “Identity Theft: Understanding and Fighting the Crime of the Century”, Keynote Presentation, McMaster Alumni Speaker Series, Hamilton, October. Head, M. (2010). “Usability for eHealth Applications”, Invited Presentation, eHealth Speaker Series, Hamilton, September. Head, M. (2009). “Building Trust on the Internet”, Invited Presentation, Canadian Association of Movers 2009 Annual Conference, Toronto, November. Head, M. (2009). “Identity Theft: Understanding and Fighting the Crime of the Century”, Keynote Presentation, Probus Women’s Club of Burlington, Burlington, September. Head, M. (2009). “Identity Theft: Understanding and Fighting the Crime of the Century”, Keynote Presentation, North Burlington Women’s Probus Club, Burlington, March. Cyr, D., Head, M., Larios, H., Pan, B. (2009). “Exploring Human Images in Website Design Across Cultures: A Multi-Method Approach”, Invited Research Presentation, Simon Fraser University, MIS Group Research Series, Vancouver, March. Bastedo, L., Hassanein, K., Head, M. (2008). “A Proposed Theoretical Model of Students’ Attitude Towards Learning Management Systems”, Presentation at the 13th Asia Pacific Region of Decision Sciences Institute Conference (APDSI08), Brisbane, Australia, July. Head, M. (2008). “Identity Theft: Fighting the Crime of the Century”, Keynote Presentation, Retired Teachers of Ontario Annual Meeting, Hamilton, May. Head, M. (2008). “Identity Theft: How YOU can help fight the Crime of the Century”, Inspiring from Within: McMaster University Employee Conference, Hamilton, February. Head, M. (2007). “Identity Theft: How to Protect Yourself and Your Business”, Burlington Downtown Business Security Seminar, Burlington, November. Head, M. (2007). “Identity Theft: Should you be Concerned?”, Keynote Presentation, Dundas Valley Sunrise Rotary Club Seminar, Dundas, April. Head, M. (2007). “Usability of Mobile Devices”. Keynote Presentation, University of Ontario Institute of Technology (UOIT) Women in IT Research Seminar Series, Oshawa, March. Head, M. (2006). “Identity Theft: Who is Stealing You?” Keynote Presentation, Central Burlington Women’s Probus Club, Burlington, October. Head, M. (2006). “Identity Theft: When Bad Things Happen to Your Good Name”, Keynote Presentation, Rotary Club of Burlington Central Seminar, Burlington, October. Head, M. (2006). “Mobile Usability”, Keynote presentation, Ottawa Wireless Cluster Lecture Series, Ottawa, October. Head, M. (2006). “Identity Theft: Who is Stealing You?” Keynote presentation, Dundee Wealth Management Education Seminar, Toronto, June. Cyr, D. and Head, M. (2006). “Website Design and Mobility: Culture, Gender and Age Comparisons”, Invited Research Presentation, Simon Fraser University, MIS Group Research Series, Vancouver, April. Head, M. (2006). “Catch Me If You Can – Identity Theft a $50 Billion Problem”, Keynote Presentation, The Grand & Toy & Mastermind Solutions Inc. Executive Luncheon Speaker Series, Toronto, March. Head, M. (2005). “Identity Theft: How it Affects Your Business”, Keynote presentation, DeGroote Alumni Luncheon, Hamilton, October. Head, M. (2005). “The Power of Websites to Build Small Business Growth”, Keynote presentation, Hamilton Connectivity Seminar, Hamilton, October. Head, M. (2005). “Identity Theft: Who is Stealing You?”, Keynote presentation, Canadian Information Processing Golden Horseshoe (CIPS GH) Event, Hamilton, June. Head, M. (2005). “Identity Theft: When Bad Things Happen to your Good Name”, Keynote presentation, McMaster University Alumni Event, San Francisco, May. Head, M. (2005). “Identity Theft: When Bad Things Happen to your Good Name”, Keynote presentation, All Canadian Universities Event, Miami, Florida, April. Head, M. (2005). “Identity Theft: When Bad Things Happen to your Good Name and How it Affects Your Business”, Keynote presentation, Halton Lunch Series, Hamilton, Ontario, March. Head, M. (2005). “Identity Theft: When Bad Things Happen to your Good Name”, Keynote presentation, Science in the City, Hamilton, Ontario, February. Head, M. (2005). “Identity Theft: The Crime of the Century”, Keynote presentation, Keynote presentation, The Hamilton Club Breakfast Series, Hamilton, Ontario, January. Head, M. (2004). “Identity Theft and Solutions Research for the Future”, Keynote presentation, 13th CACR Information Security Workshop & 5th Annual Privacy and Security Workshop: “Privacy and Security: Seeking the Middle Path”, Toronto, Ontario, October. Head, M. (2004). “Trust Through Humanized Design”, Keynote presentation, Sixth Annual International Workshop on Internationalisation of Products and Systems (IWIPS 2004), Vancouver, British Columbia, July. Head, M. (2004). “Culture, Trust and Design Innovation”, Panel Discussant, Sixth Annual International Workshop on Internationalisation of Products and Systems (IWIPS 2004), Vancouver, British Columbia, July. Head, M. (2004). “Choosing a Career in Information Technology”, Grade 8 Girls Career Conference, Mississauga, Ontario, May. Head, M. (2004). “Women in Information Technology”, Women in Leadership Conference, Hamilton, Ontario, February. Hassanein, K. and Head, M. (2003). “Instilling Online Trust Through Humanized Website Design”, University of Texas (Austin) Research Seminar, Austin, Texas, October. Head, M. (2003). “Online and Offline Curriculum Integration”, eBusiness Research Centre Director’s Forum, Plano, Texas, October. Head, M. (2003). “Understanding the Online Consumer: An Examination of Trust and Relationship Building Tools”, IBM Centre for Advanced Studies (CAS) Seminar, Toronto, Ontario, July. Hassanein, K., and Head, M. (2003). “Engendering eTrust Through Humanized Website Design”, Evolaris Business Symposium, Graz, Austria, June. Head, M. (2002). “Fundraising Opportunities and Challenges for Research Centres”, eBusiness Research Centre Director’s Forum, Philadelphia, Pennsylvania, November. Hassanein, K., and Head, M. (2002). “Education Link: eBusiness@McMaster”, Hamilton Wired Summit II: Building on our IT Culture, Hamilton, Ontario, May. Head, M. (2000). “Preparing Students to be Leaders in the New Electronic Economy”, Keynote speaker, McMaster Alumni Series, Toronto, Ontario, November. For a full list of publications and presentations, visit my personal website.